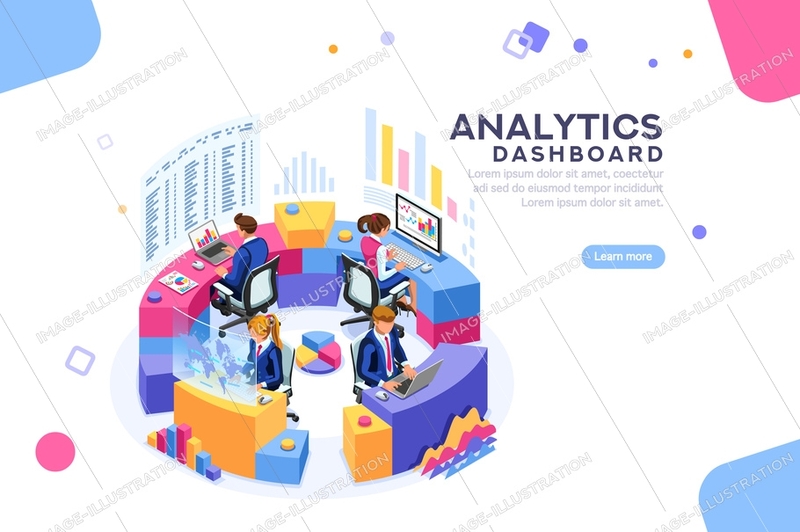 Analytics Dashboard stock images by Aurielaki. Banner Template illustrations in EPS10 EPS JPG AI SVG. SKU: Analytics-Dashboard-Template-Banner-AurielAki. Categories: e-commerce banners, Financial business infographics. Tags: abstract business, analysis, analyst, analytics, big, businessman, center, characters, charts, cloud, communication, concept, corporate, dashboard, data, database, finance, financial, flat, global, graphs, indicators, infographic, information, innovation, isometric, key, management, marketing, networking, office, online, performance, process, report, sales, science, screen, security, SEO, server, showing, software, statistic, support, system, team, technology, virtual, web.